Experienced Corporate Housing Executive Brings Extensive Experience in Business Development and Outside Sales. LAKE FOREST, IL., USA, April 1, 2019 /EINPresswire.com/ -- Brook Furniture Rental, America’s leading high end residential and office furniture rental company, announced today that Charley Muste has joined the company as Senior Account Executive for National Accounts. Charley joins Brook with more than 16 years of industry experience in sales, management and human resources development. 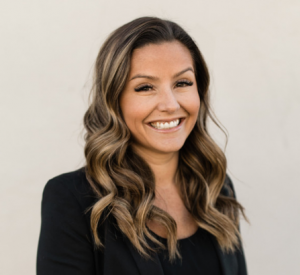 Most recently, Charley held the position of Executive Director of Human Resources and Organizational Development for BLVD Suites Global where she was involved in nearly every aspect of the company’s growth including sales, operations, accounting, and guest services. In her new position, Charley will be responsible for managing targeted national accounts and increasing profitable revenue throughout several verticals across the U.S.
Charley holds a Masters degree in business administration from the University of Grand Rapids, MI, and will operate out of Denver, Colorado. About Brook Furniture Rental Inc.
Brook Furniture Rental, Inc. is a privately held furniture rental company headquartered in Lake Forest, IL having multiple locations across America that serves over 80% of the U.S. population. The company specializes in serving the furniture rental needs of residents and businesses in transition. These clients are served directly through the company's website or referred by various business partners. Currently, the company holds an industry-leading 95% on time rating.